Before we start, I’d like to add a note to Part One of this story of a years-long dogman habituation in eastern Pennsylvania that continues to this day. The eyewitness I’ve nicknamed Jessie contacted me to say I had her permission to reveal the purpose of the family party she attended later in the day of her first sighting…it was her wedding! This fact has always seemed significant to her although she isn’t sure why. I had left that detail out as a possibly identifying factor–how many women have a dogman sighting on the day they get married? But I’m glad to be able to include it because if it’s important to her, it may also be important to the entire series of encounters. And I do consider this a case in progress. It may seem odd that the bride-to-be would go hiking on her wedding day, but this bit of back story gives me a chance to add a few more of Jessie’s pertinent characteristics. She describes herself as an avid hiker and prefers sunrise and sunset, so this walk was part of her daily routine. She had worked for several years as a mechanic in the US military and was not afraid to be in the woods by herself. So that morning, she decided to begin her big day by de-stressing with a sunrise walk to a rock ledge where she could best see the colors of dawn. That was what led to the first encounter discussed in Part One. Needless to say, Jessie was very disturbed by the visitation and says she has had recurring nightmares ever since. She began awaking with the sense that something was just outside her window almost every night, and would often feel the hair rise on the back of her neck as her cat stared intently at the window for no reason she could see. On June 9, 2015, Jessie wrote me that she had found deeply indented prints in the mulch around her house, and scratches on her house siding. (See her photos, below. Note crushed flowers, too) She had also found a snow print that looked canine a few months earlier. She wrote that the activity was all next to her bedroom window. The prints were about four inches wide. (They resembled a similar case I called The Hartland Hairy Thing in Wisconsin.) Jessie also asked whether I knew anyone local who might come out to her place and have a look. I did, and made the connections but unfortunately they have not as yet been able to find a mutually workable time to get together. In the meantime, I advised her to get motion lights, a strong flashlight, and a trail cam, if possible, and to spread playground sand in a few strategic spots around the yard to try for a better footprint. She estimated that it would have had to have been at least six feet tall to see into the window, and noted that it seemed partially hunched over which meant it was probably taller than six feet. In mid-August 2015 she wrote that something was tapping and pounding on the back wall of her home all night. “These aren’t normal noises and it doesn’t sound like raindrops or acorns/pinecones falling, I know what those sound like and where they usually hit,” she said. “I can’t bring myself to look outside, I don’t think I could handle what I’d see,” she added. Was it a supernatural or otherworldly creature? The fact that two people saw it at the same time means it is not a hallucination on Jessie’s part. There have been more incidents than I can describe here, but Jessie hopes that one final action will end the visits: she and her husband are planning to move away from that house and yard. In other cases I’ve known of, putting some distance between witness and cryptid often does indeed do the trick. I’m keeping my fingers crossed that this does it for Jessie, too. Dogmen just don’t make ideal neighbors. Giant Bird or Spirit Avian? Thunderbirds, mothmen and other unknown flying things are some of the most puzzling of cryptids. They appear in the sky or a nearby meadow, amaze lucky witnesses, and then fly away without any hint as to their intent. Sometimes they seem to portend doom, as in the famous case of Point Pleasant, W. VA’s Mothman, which many think was a harbinger of the tragic Silver Bridge collapse. In other cases, such as the northwestern Wisconsin daylight sighting by John Bolduan that begins my “American Monsters” book, witnesses are left feeling perplexed yet privileged to have witnessed such a spectacle. Bolduan watched in awe as the tall, silvery-feathered bird took to the air and displayed a 22-foot wingspan. There’s another example of that flighty ambiguity in my next book due out this fall, titled “Monsters Among Us, an Exploration of Otherworldly Bigfoots, Wolfmen, Portals, Phantoms and Odd Phenomena.” In this incident, a central Wisconsin woman witnessed a gigantic, large bird standing on a bridge near Black River Falls. She was told by a Native American elder that she had seen a Thunderbird. Why am I bringing these examples up now? I’ve often wished that I had some way to help interpret these incidents, but had never found much contemporary material aside from well-known Thunderbird lore. I was thrilled recently, then, to stumble across a gleam of illumination in my summer reading pile, in a book about one man’s solo canoe adventure down the Mississippi River. The beautifully written work, Nick Lichter’s The Road of Souls, Reflections on the Mississippi, also describes many of the places long considered sacred or otherwise important by our indigenous people. 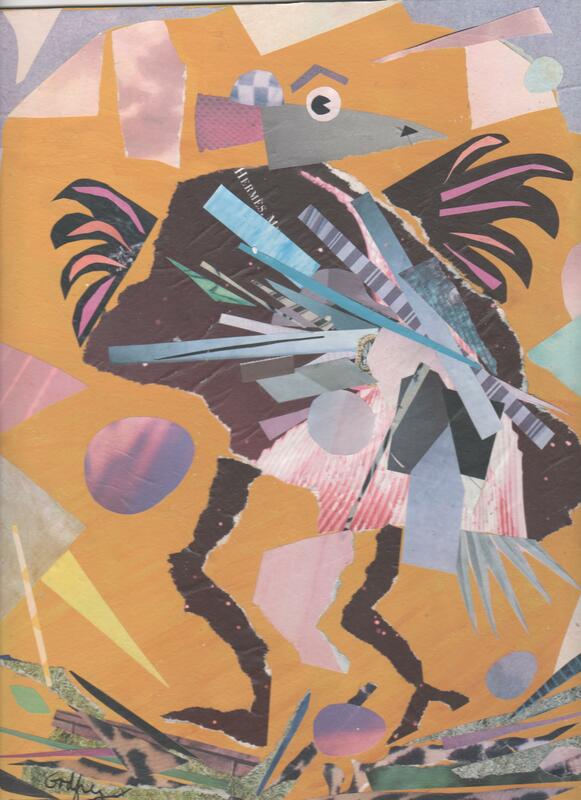 Might the big birds seen up and down the Mississippi since Chief Blackhawk’s day be embodiments of that wandering spirit bird? Blackhawk doesn’t directly call the spirit bird a swan; he merely says it is white, has wings like a swan and is ten times its size. That’s very reminiscent of what Bolduan described. And Webb Lake, where it appeared, is only about five or six miles from the Mississippi in Burnett County, Wisconsin. Moreover, the other encounter I mentioned on the bridge in central Wisconsin was near Black River Falls, a tributary of the Mississippi. This is just my own fanciful thought, but maybe that great, spirit bird is still winging over the Mississippi, setting down now and again as it searches for another place of peace– another earthly paradise to watch over. I believe it’s as good an explanation of these huge creatures as any. The image of a creature part man, part goat is one of the oldest in the history of civilization. It brings to mind the ancient nature god, Pan, those licentious Greek and Roman satyrs, and has long served as the basis for illustrations of the Christian devil. Most people think of anything resembling these creatures as mythical allegory. But every now and then, sightings of upright goats with sharp horns and bad attitudes show up in contemporary reports of encounters with unknown creatures. Wisconsin author J. Nathan Couch has written a well-received book, “Goatman; Flesh or Folklore,” that has had many researchers — myself included — taking a second look at the bleating beast. I admit I was one of those who generally categorizedthe idea of goatmen as folklore or urban legend. For one thing, there ARE quite a few localized legends around the country that follow a couple of oft-repeated story lines. One such trope always involves some secret lab experimenting with human/animal hybrids until one half-goat escapee terrorizes the countryside. Another tale, usually set a century or so in the past, describesa goat-like monster killing a just-married man while his terrified wife hides in a wagon or carriage. The latter legend that I’ve described in several of my own books is prominent around Washington County, Wisconsin and is supposed to have occurred on Hogsback Road in the Town of Erin. 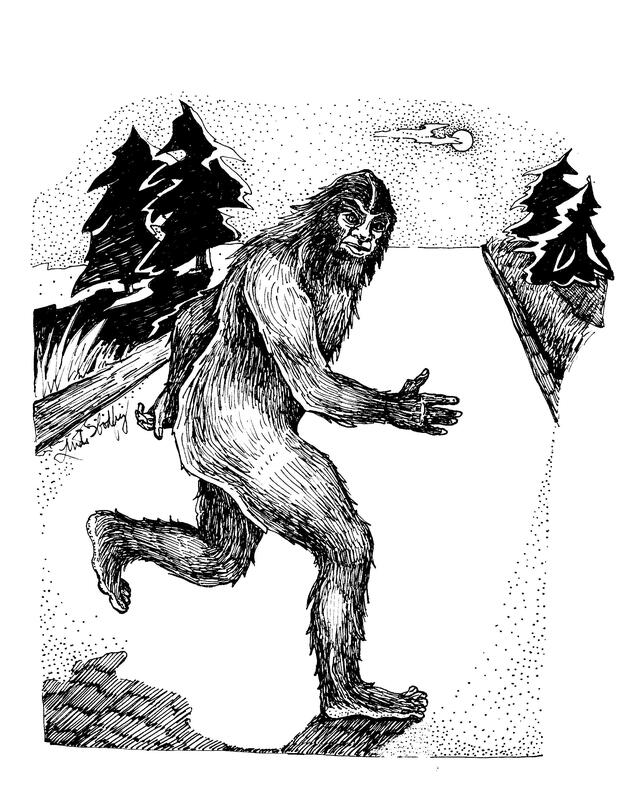 That particular area of the state is also very rich in modern-day reports of both Bigfoot and dogmen. So imagine my surprise when a man who is related to me by marriage (a couple of times removed) mentioned at a family gathering a week or so ago that he and a companion had personally witnessed a creature in the general vicinity, perhaps 10-15 miles to the northeast of Erin. It appeared to be an upright goat sauntering across the highway as the two young men drove along Trenton Road just east of West Bend, Wisconsin, sometime around 2003. He was in his twenties at the time, and said that he and his friend completely agreed on what they’d seen. They were both extremely shocked, he added. He described it as man-sized, with hooves, big muscular legs and smaller forelimbs held out in front of it “like a T-Rex.” And it had horns. I made sure that point was clear, because over the years I’ve had a number of people tell me they had seen a satyr or goat man, only to change their minds when I showed them a forensic sketch of what most dogman witnesses describe. But those witnesses saw neither horn nor hooves. The sketch accompanying this article is one that I made for my own entertainment and has not been corroborated by this witness who wishes to remain anonymous. I added features such as the slightly larger “arms” and pointed teeth that I imagine would be necessary for an animal able to tear apart a sturdy young bridegroom as described in the old stories. I’ll do a second version and an update if the witness agrees to talk further. I will add that I consider this person entirely credible. And his sighting was only 11 or 12 years ago, not such a long time as cryptid reports go. It was not a dogman, not a Bigfoot. Perhaps Goat Man does live on, after all, and this gentleman, unlike the unlucky bridegroom of the Civil War era, lived to tell its true tale. Super-sized birds are one of the most tantalizing topics for researchers of cryptid animals. Most of these weird flyers resemble some type of actual bird (often a type thought long extinct) that would seem to put them in the “likely to be ‘real’” category – except for their wingspan usually reported at 20 feet or more, their massive bodies, and their penchant for carrying off live creatures considerably larger than the rabbits, fish and squirrels preferred by even the largest of our known birds of prey. The 2005 sighting near Hayward, Wisconsin by a Minnesota businessman named John Bolduan that I chronicled in American Monsters describes one of the better observations I’ve seen anywhere of these creatures. Bolduan’s sighting was in close range in full daylight and included seeing the bird on the ground, taking off, and then flapping away, with nearby trees, tall grasses and roadway for size comparisons. It had a stork-like appearance, but Bolduan hasn’t been able to match it to any known species. Pike County, PA, autumn 1996 or 1997: A woman reported seeing a huge birdlike creature gliding over the trees during the day. She stopped her car to watch it and estimated it was the same length as her car, 17 feet. She tried reporting it to an area animal preserve and to a game warden, who both told her she had probably seen a vulture, but she said it looked nothing like a vulture and could not find anything to compare it to other than something prehistoric. State Line Island, Nebraska, May 1995: In another daylight sighting, a man hiking along the North Platte River encountered two birds standing in a clearing that appeared the size of large humans but were covered with black feathers and had raptor-like heads. No markings. One turned and looked at him, then both spread their wings to an estimated 20 foot span and jumped from the ground. One was carrying a small deer in its talons and had a hard time getting airborne with it as the other bird screeched from the treetops. He believed the deer was the same small doe he had seen at that site the day before and estimated its weight at at least 75 pounds. Clements, Michigan, spring 2014: NOTE — I’m withdrawing this report of a “giant” bird that had been sent by a third party. Subsequent interviews with the actual witnesses revealed this was almost certainly a turkey vulture. According to the father and son, it had the typical pinkish-red, unfeathered head and other characteristics of this bird that is probably the Midwest’s most oft-misidentified bird of prey. Just goes to show the importance of a little extra digging, and my apologies for posting the brief version prematurely! On the other hand, as if to make up for that one, I received another report from Brookfield, a suburb of Milwaukee, that was indeed submitted by the original witness who answered follow-up questions. Her sighting occurred in fall, 2006, in daylight, as she and her three-year old son stood in the backyard of the home they were renting. She noted that the area had enough natural cover that they often saw deer, coyotes and other wildlife. She wrote, “A bird that resembled a golden eagle, except that it was about the same height as me (five feet, four inches) landed 15-20 feet away from us, looking me in the eye. We all remained still, staring at each other for a while. I remember feeling a little scared, as it could easily fly away with my 3-year old, but also a great reverence as I felt the bird was deciding how it felt about us being on that land.” The woman added that they all stood for about 20 seconds, eyeing one another, before it flapped away with “great ease.” After it left, she took a yardstick and measured what its height and wingspan would have been according to where it had stood in relation to corresponding features of her lawn, and said it stood 50-55 inches tall (about a foot shorter than she thought at first) with a 12-foot wingspan. A golden eagle may have a 5 1/2 to 8-foot wingspan but stands only about 27-36 inches tall. She added that the breast color of the bird she saw was “creamish,” which is not usual for this species. Was it a golden eagle? If so, it was a specimen considerably larger than the known dimensions of that species, with unusual coloring. I do think what ever it may have been, it probably was interested in checking out her 3-year old, and that’s the scariest aspect of this encounter. Golden eagles have been known to seize small deer and domestic animals. American Monsters release day! What a great time I had on CoasttoCoastam.com with George Noory last evening talking about all the creepy critters! Thanks to all who listened, called in, and followed my blog afterward. In case you missed the show (I’m not normally up between two and four a.m. either 🙂 click HERE. Also, check out my guest blog running today in Huffington Post on America’s Seven Scariest Monsters. It was extremely difficult to choose only seven, and I’ve seen a few comments wondering why I didn’t include the upright canines such as Michigan Dogman or Beast of Bray Road. It’s true that few things are scarier than encountering a menacing, upright wolf, but since I’m so identified with my wolfmen books and research, I wanted to emphasize that this book is a survey of the whole weird menagerie from giant birds to lake monsters. Besides, the canine crew gets its due in the book’s section on land beasts. And I wouldn’t care to run into any of these creatures on a dark trail at night. Yes, I’ve been away for a while, but it’s been a little crazy. One thing I did during my blog hiatus was to finally start a Cafepress store where some of my creature designs are now immortalized on a variety of t-shirts. People have been asking me to do this for 17 years and I have always said no, partly because I didn’t want to be in the souvenir business, and partly because I think hawking merchandise tends to take away from a researcher’s reputation. It was the Yahoo group Unknown Creature Spot and their dialogue about dog men in cornfields — which devolved into something called CornDog Man — that finally nudged me into an e-commerce experiment. They asked if I would draw a cartoon of this creature for them, and I obliged, and then they began asking if they could get CornDog Man t-shirts. Truth be told, I kind of wanted one myself. So I took the plunge and opened a Cafepress store, which handles all the messy business stuff like printing, stocking and shipping, and set up a few CornDog Man shirt models. I enjoyed seeing my art on t-shirts so much that I added a couple of others; my original Beast of Bray Road sketch, a Bigfoot head, and my Weird Deer emblem. I don’t know how long I’ll stay in the creature-T biz, I surely don’t expect to get rich from it. But I guess if a few people get a kick out of wearing my artwork, there’s nothing wrong with that. And I will probably be my own best customer, I already ordered a green Weird Deer shirt for my own summer wardrobe. And the CornDog Man, of course, in corny golden yellow.